In a world of turmoil, what is a nation for? 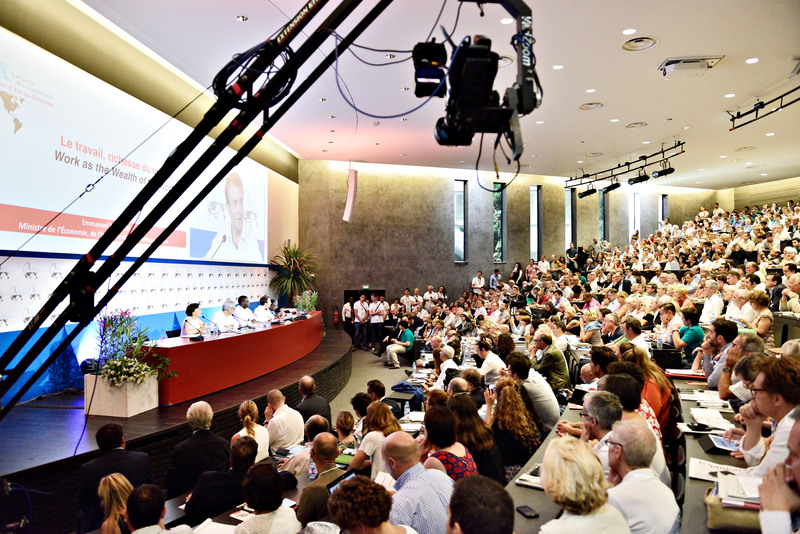 The Rencontres Économiques d’Aix-en-Provence event is organised by the Cercle des économistes every year and brings together high-level participants from a range of backgrounds. Speakers are asked to demonstrate intellectual audacity, come up with new approaches and propose new solutions. A cross-cutting theme rooted in current events has been chosen for this sixteenth edition. “Following the terrorist attacks in France, and the major economic and political uncertainty worldwide, we have been thinking a lot about the turmoil our societies have been experiencing. Nine months ahead of the Presidential election, we decided to talk about France, and what we expect from a nation,” explains Pierre-Xavier Prietto, Development Manager for the Cercle des économistes. “As the event hosts a number of foreign participants, we decided to broaden the theme out to - In a world of turmoil, what is a nation for?” As part of the “Students Speak Up” (Parole aux Étudiants) competition, students are also being invited to write a free essay on what they expect from France. One hundred of them will be selected to take part in the event. Once again this year, the Rencontres Économiques d’Aix-en-Provence is continuing to foster its international focus, especially in the Mediterranean. “We decided to strengthen our ties with North Africa and the rest of the continent. Our speakers will include figures from Morocco, Tunisia, Algeria, Lebanon, Italy and Spain. The Rencontres Économiques is a flagship event for the economic world, and it is free and open to all. 4,000 people attend, while 30,000 visitors follow the sessions live over the Internet. The event concludes with a final declaration, including recommendations, signed by the 30 members of the Cercle des économistes.